The Department of Equine Welfare and Veterinary Services supports Racing Victoria Integrity Services in maintaining the integrity, quality and safety of the racing product. The department plays a key role in doping control, medication management and the health, safety and welfare of the racehorse. Supporting the spirit of horse racing as a sport. The selection of horses for sampling as part of Racing Victoria’s doping control procedures is done by the stewards and the official racing veterinarians are responsible for supervising the collection procedures. On race day samples may be collected at any time prior to the race or after the race until the horse is released by the stewards. Samples are generally collected from winners, beaten favourites or any other horse which may be of interest to the stewards. The critical requirements of the sample collection process are to ensure that the trainer’s representative is provided with the opportunity to witness the entire process, that an uncontaminated sample is collected from the designated horse, that the identity of the sample can be securely linked to the horse from which it was collected, that the identity of the sample is coded and unknown to the analytical laboratory and that the sample cannot be tampered with after collection and prior to delivery to the laboratory without evidence of any attempt to interfere with the sample. A meticulous record of the chain of custody of the sample must be maintained by Racing Victoria. 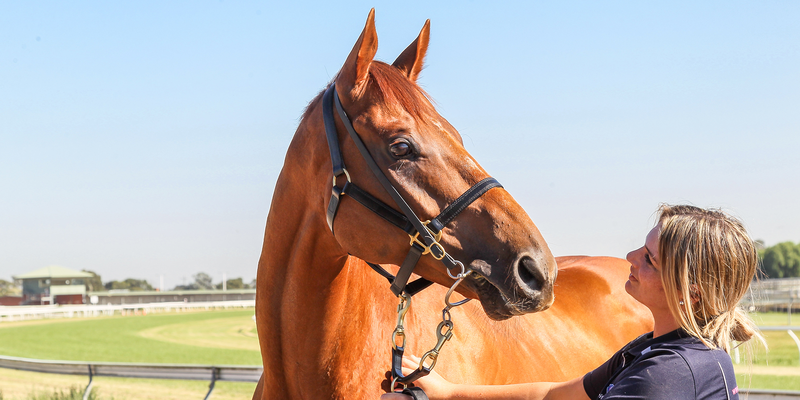 Assessing the veterinary suitability of a horse to race at the starting gates or at any time prior the race is an important race day veterinary function. Stipendiary stewards have the authority to withdraw horses that may be in an unsuitable condition to race and rely heavily on veterinary advice when making this decision. It is the trainer’s responsibility to present his or her horse in a suitable condition to race but racing soundness and wellness may change over time as a result of incidents or the onset of illness. Will racing exacerbate any pre-existing injury, ailment or condition? Will the injury, ailment or condition affect the racing performance? Will the injury, ailment or condition endanger the safety and welfare of the horse and/or jockey? Decision-making at the starting gates often has to be performed under stressful conditions and under tight time constraints. Given the excitability of horses at the start and their confined berth in the starting gates, the potential for injury is always present and it is very difficult to assess what injury a horse may or may not have sustained in a starting gate incident. Horses have the potential to bang their heads or kick the gates. Vets have to be vigilant but have many horses to focus on. For this reason, race day veterinarians adopt a generally conservative approach when any doubt exists as to the suitability of horse to race. However, they must also be mindful that it is possible to be too risk averse and that a horse that has suffered no harm should not be withdrawn solely on the base of perception concerns. Veterinarians must unload and examine horses if any incident occurs and always act in the best interests of the welfare of the horse. While horses may suffer sports injuries or illnesses that cause them to be temporarily unsuitable to race during recovery, some conditions are considered to be permanent infirmities and affected horses are banned from racing under the rules of racing. Other conditions or procedure performed on a horse may cause a horse to be banned from racing for a specified period of time to protect the health, welfare and safety of the horse and other race participants. Such conditions and procedures include pregnancy beyond 120 days, one bleeding attack, an incident of atrial fibrillation, shockwave treatment, and nasogastric intubation. It is important to contact the veterinary and equine welfare department if doubt exists as to a horse’s suitability to race. Veterinary surgeons inspect all horses as they leave the racetrack for signs of injury, distress or conditions that may occur as a result of strenuous physical exercise. The stipendiary stewards may request that a comprehensive clinical examination be performed on horses that perform below expectations, were involved in racing incidents or were observed to show signs of injury or other physical abnormalities. Disappointing performances caused by veterinary problems may be explained to the public. Any injuries or infirmities can be identified and referred for appropriate treatment. To assist handicappers in assessing the relative merit of a horse’s performance on the day of racing. Sometimes it is not possible to detect a condition that may have affected racing performance immediately after the race. In some cases lameness or illness may only become apparent on the day after racing. For this reason Australian Rule of Racing AR 140 requires that trainers must report any condition detected in a horse under their care that may have affected a horse’s racing performance. While trainers and their veterinary surgeons work hard to present their horses to race in the best possible physical and mental condition, occasionally a horse will suffer a physical condition that will cause it to return a racing performance below that which was expected of it on the day. Conditions that may affect racing performance include lameness, lacerations, EIPHS (exercise induced pulmonary haemorrhage syndrome), heat stress, breathing abnormalities including laryngeal hemiplegia, dorsal displacement of the soft palate and epiglottic entrapment, and atrial fibrillation, eye injuries and others. When a veterinary condition that may have been responsible for a disappointing racing performance is detected on the day of racing, the findings will be documented in the Steward’s Report. Horses identified to have suffered an injury or ailment after racing will be required to undergo a veterinary examination and be cleared to race by a veterinary surgeon prior to accepting to race again. Some conditions maybe resolved with medication and/or appropriate management of the horse’s training regime. However some significant conditions, for example breathing conditions such as laryngeal hemiplegia (‘roaring’) and dorsal displacement of the soft palate may require surgical correction. A successful operation may mean that a horse’s athletic performance may be significantly improved during its next preparation. For this reason, AR 140 requires that trainers must report any condition or procedure that may affect a horse’s future racing performance to the Stewards. The Department of Equine Welfare and Veterinary Services also assist in the policy development and implementation of key horse health initiatives including doping control, medication control, infectious disease control and management, equine welfare, injury minimisation, industry education, research and consultation. See all common Racehorse Veterinary conditions and how to treat and prevent them. We aim for Drug Free racing to ensure the racing performances are the result of the horse, the rider and the trainer. See all forms relating to thoroughbred Racing Veterinary services.